A state-of-the-art data acquisition and control system for all your engine, vehicle and industrial component testing needs. DynPro2 is simple to use but flexible enough for the most rigorous applications. 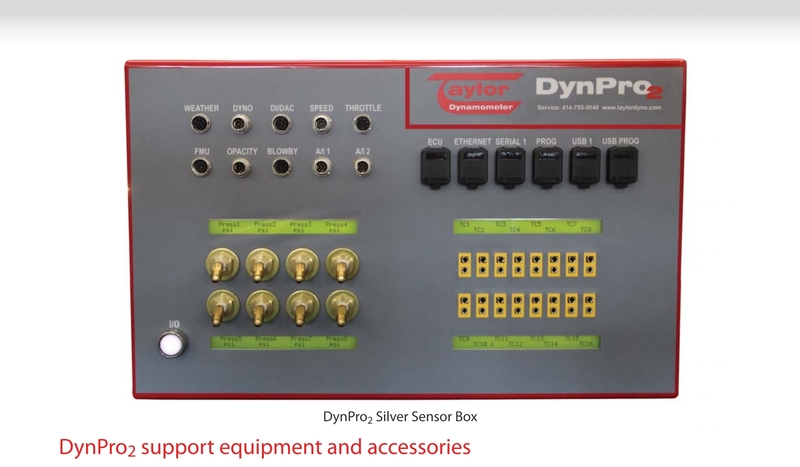 DynPro2 can automate the industrial controls for a room, test cell, even your entire test cell facility, allowing you to integrate room temperature, lights, safety interlocks and much more into your overall testing process. Offers the same features as the standard DynTek-PC, but also includes two pressure and two temperature measurements. 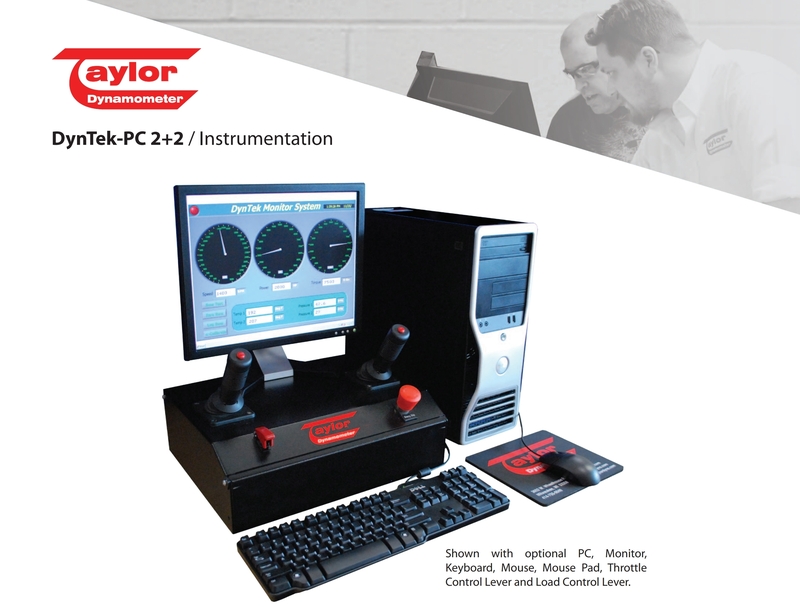 The ideal display and data acquisition system for basic engine testing requirements. With an easy-to-read report, it provides engine rpm, torque and power (English or metric units). Makes testing simple and intuitive with an easy-to-use, wireless controller that shows multiple channels of real-time data. 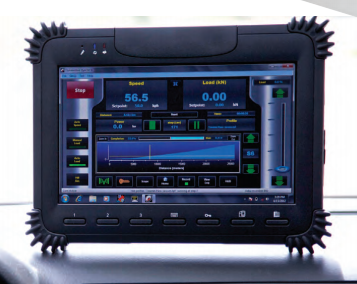 Includes a rugged touchscreen tablet PC with automated hill simulations and an integrated graphic heads-up display.